Join us after Golden Week to catch up with your friends and to make some new ones. 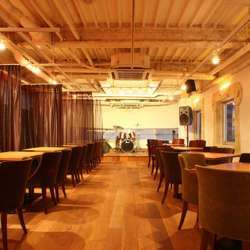 The event will be held at “iznt” the popular, well-known bar, on Friday, 17 May between 20:00 and 22:00. However, the venue will remain open until 2:00 am if you wish to stay on afterwards. *Please note that InterNations events are organised for expats and their friends to meet and socialise. They are not dating events or opportunities to promote your business or religious organisations. Anyone involved in these activities will be asked to leave.